Owning a beauty salon is a difficult feat especially if you don't have any background with the services and worse, if you get the wrong people to work for you. So, having closed my beauty salon after my beauticians abruptly abandoned me, I could only learn the trick and trade of beauty salon services and go through a formal training. My model had a wavy long hair, so, I used a commercially available relaxer for the treatment. After the hair was was washed with shampoo, I applied the treatment on the thinly sectioned hair. As I applied the hair treatment, I was more conscious that the treatment would hit the bare skin of my model as the treatment can be harmful. I pulled through the treatment from a few - millimeter - away roots down to midway part of the hair, as the hair is slightly damaged. I left the treatment on for 45 minutes, and extended the rest of the medicines to the last tip for additional 15 minutes. After an hour of treatment, I had to wash of the relaxer well with pouring water and applied hot oil for moisture. A blower had commenced the job and asked my model not to wash her hair for two days. To keep the hair moisturized, it is important that deep conditioning or moisturizing treatment can be applied once a week. 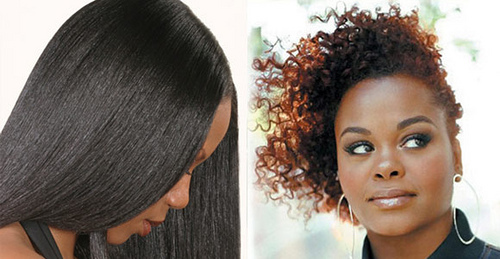 To avoid further damaging your hair, keep at low - medium temperature your usage of blower, flat irons, or curlers. Remember that it would be smarter if we allow professional beauticians attend to our beauty salon services for quality works.